Planting zones are areas you can find on a growing zone map that show exactly which plants are best suited to thrive in your given area, or zone. When shopping for new plants for your garden landscape, the terms “plant hardiness zones,” “growing zones” and “planting zones” may at first seem a bit confusing. In essence, plant hardiness zones have been used by growers for years to simply identify the plants that are most likely to survive the winter in their area. Being able to understand a hardiness zone map means you’ll have a starting point for making wise planting decisions. Planting zones are broken down into thirteen areas, also known as USDA zones, which cover the entire United States, including Hawaii, Alaska and Puerto Rico. Each agricultural zone covers a 10-degree range. Zone 1 is the coldest, with an average minimum winter temperature of -60 to -50 degrees F, while the minimum winter average temperature in Zone 13 is 60 to 70 degrees F.
Understanding gardening zones means you can focus your time and attention (not to mention money) on plants with the best chance of winter survival. Gilmour’s Interactive U.S. Planting Zone Map for 2019 combines data from the USDA with specific geographical information to provide a complete look at your growing area. Each of the 13 zones on our interactive planting zone map is broken down into two parts to give 5-degree increments in each zone. By asking what zone am I in and using an interactive growing zone map like ours, you may be pleasantly surprised, ultimately discovering you can grow many plants you might not have even considered! Instead of simply assuming you are in a certain zone and thinking you already know what grows best, click on the major metros near you to see detailed information specific to your exact area. Individual zones are no longer simply just bands that go across the country. Detailed sections are now based on multiple factors. Click on your state to reveal a basic overview, including the state flower, a list of major metro areas, gardening zones and an overview of climate. By clicking your closest metro area, you’ll find even more detailed information to help make your gardening decisions. Plant hardiness is the ability of a plant to survive adverse growing climates such as drought, flooding, heat and cold. The science behind plant hardiness can be complicated. Plant genetics determine the ability of a plant to withstand cold temperatures without damage. Each cultivar of a plant may have different hardiness levels based on their adaptations and genetics. Even different parts of a plant may be hardy in different ways. For example, the cold may cause your beloved perennial to die; however, the roots might be hardy enough to bring new growth in the spring. Many plants require very specific growing environments to thrive. You can adjust many things, such as soil type, moisture levels and amount of sunlight in your garden, but temperature can be hard to control. Choosing plants with hardiness levels appropriate to specific planting zones gives you the best chance of gardening and landscaping success. USDA Plant Hardiness Zone 1 is the coldest zone designation for the United States. With minimum average temperatures between -60 to -50 degrees F, it can be a difficult zone for gardening. The majority of Zone 1 is located in Alaska. This tundra environment is extremely harsh and plants must have extreme cold hardiness and drought tolerance. Each of the two subzones can experience harsher temperatures depending on weather conditions. What Plants Can I Grow in Zone 1? Planting in Zone 1 can be quite challenging. Plants able to withstand the tundra are rare. Native plants have already adapted to the area, so it makes sense that they’re a natural, excellent choice. Annuals are also a popular option, since they don’t need to survive the winter. While there are relatively few non-native perennials suitable for Zone 1, some can be grown with proper planting and care. Because most vegetables are grown as annuals, you don’t have to consider the cold hardiness of the vegetables as much as the length of the growing season. Giving plants a head start indoors or in a greenhouse typically results in better success for Zone 1 vegetables. Located in both Alaska and the continental United States, planting Zone 2 features extremely cold average minimum temperatures of between -50 to -40 degrees F. These temperatures can present a growing challenge to many gardeners. High winds and drought conditions are found in both the tundra and plains of Zone 2. Planting native plants, growing annuals and using creative planting techniques give gardeners a growing advantage. What Plants Can I Grow in Zone 2? Plants in Zone 2 must be able to withstand extreme cold and high levels of drought. Native plants are best adapted to the environment. Annuals are best suited for this zone, but some perennials can be grown when chosen carefully. Plant hardiness Zone 3 is found throughout Alaska, the northern portions of the United States and in high altitude areas. This zone features minimum average temperatures of -40 to -30 degrees F. Depending on the geographical location of your growing space, high winds, extreme cold and low moisture may affect growing conditions. What Plants Can I Grow in Zone 3? The cold minimum average temperatures in Zone 3 limits plant choices to those that have adapted to low temperatures. Most native plants can be grown across the zone, regardless of altitude, as long as growing conditions are similar. The short growing season limits vegetable and flowering annuals, but you can extend the growing season by starting plants indoors or purchasing from a greenhouse. Planting Zone 4 covers the southern coastal areas of Alaska, northern areas of the United States and high elevations found in the western mountains. These unique climates share minimum average temperatures of between -30 to -20 degrees F. Planting in this zone is less challenging than in colder zones, but the short growing season impacts both vegetables and flower bloom times. What Plants Can I Grow in Zone 4? Zone 4 is considered a cool climate suitable for growing plants hardy enough to withstand temperatures well below freezing. To combat the typically short growing season, gardeners can get a head start by starting plants indoors or purchasing starts from a greenhouse. Adding a good layer of mulch and taking preventative winter measures can help some plants survive the cold winters. Plant hardiness Zone 5 includes the southern coastal region of Alaska, the North Central United States and portions of New England. With minimum average temperatures between -20 and -10 degrees F, this zone experiences a moderately cold winter. While the growing season is short, you can extend it by using cold frames or using started plants in your annual garden. What Plants Can I Grow in Zone 5? Zone 5 gardens feature a wide range of environments. From coastal waters and woodlands to the wide plains of the Midwest, plants should not only be cold hardy, but they also need to match the growing environment. Gardens feature longer growing seasons that result in an increased vegetable harvest and extended blooms in landscaping. USDA Hardiness Zone 6 covers a large portion of the United States. Known as a generally mild climate, the average minimum winter temperature is between -10 to 0 degrees F. With cold winter and mild-to-hot summers, you have many growing options in Zone 6. What Plants Can I Grow in Zone 6? Zone 6 features many plants ideal for gardening and landscaping. Seed companies, nurseries and garden centers offer Zone 6 gardeners countless options. In many areas, spring, summer and fall blooms and vegetables are all possible. Planting Zone 7 reaches across approximately 15 U.S. states. This zone features cool winters with average minimum temperatures falling between 0 to 10 degrees F. Gardens in this zone have multiple plant options from seed catalogues, local home stores, nurseries and greenhouses. What Plants Can I Grow in Zone 7? Zone 7 contains many different growing climates, from the Eastern coastal areas through the Oklahoma prairies to the arid regions of the southwest and up into the forests of Oregon and Washington. The region’s wide variety in climates means that other considerations often need to be made to accommodate for drought tolerance and to adequately adjust soil conditions. Many Zone 7 hardy plants can be grown successfully in multiple locations with adjustments made to address their specific needs. Zone 8 is considered one of the warmest plant hardiness zones for a large portion of the southern United States. Extending up the western coast, Zone 8 features average minimum winter temperatures of 10 to 20 degrees F. With hot summers and mild winters, growers typically enjoy a long planting season. What Plants Can I Grow in Zone 8? Plants hardy for Zone 8 love mild winters and long, hot summers. With a wide range of moisture and sunlight requirements, growers should narrow down a potential plant list first by zone, and then by specific growing climates. Planting Zone 9 is considered a year-round planting zone. Located in California, Arizona, Texas, Florida and along the Gulf of Mexico coast, this zone features warm winters and hot summers. With an average minimum winter temperature of 20 to 30 degrees F, Zone 9 features active gardens throughout the entire year. What Plants Can I Grow in Zone 9? Long, hot summers and mild winter conditions make the heat more of an issue than the cold in this zone. Tropical plants with low water requirements thrive in Zone 9. Because of the extreme heat, spring gardening begins much earlier and fall gardens produce much longer than in other zones. 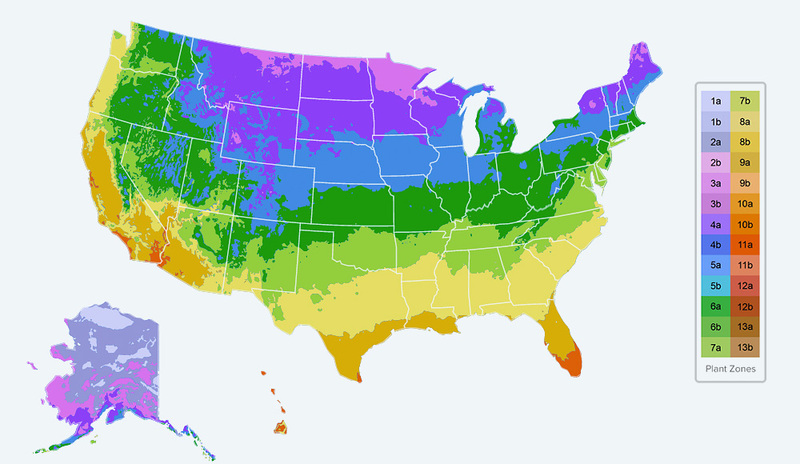 Southern inland California, southern Florida and Hawaii are the three small areas where the average minimum winter temperature only falls between 30 to 40 degrees F. The ability of Zone 10 gardeners to avoid freezing temperatures is a huge bonus for winter gardening, but the extreme heat of the summer months limits planting possibilities. What Plants Can I Grow in Zone 10? Tropical plants top the list for what grows well in Zone 10. With few frosts, the high heat and humidity of summer can become a major concern for growers. Planting Zone 11 is found in Hawaii, the Florida Keys, Puerto Rico and a few small areas of the Continental United States. This extremely warm zone features mellow winters with an average minimum winter temperature of between 40 to 50 degrees F. Cold hardiness is not a factor in this zone, since it has zero frost days. Instead, growers here must consider the impact heat has on their planting choices. What Plants Can I Grow in Zone 11? Tropical plants are the highlight of Zone 11. With long, hot summers and warm winters, Zone 11 growers need to look for plants that are heat tolerant. Traditionally cold season plants, such as pansies and spinach, will have a limited growing season in the even the coolest part of winter here (which is rarely cold at all). Plants native to the area have the best chance of surviving the heat of summer. Planting Zones 12 and 13 are not found in the continental United States, but are located in both Hawaii and Puerto Rico. These two plant hardiness zones are extremely warm, tropical environments that are best suited for plants tolerant of intense heat. With the average minimum winter temperature between 50 and 70 degrees F, Zones 12 and 13, the warmest of all the USDA hardiness zones, feature tropical plants and exotic fruits. The subzones in both Zones 12 and 13 can experience harsher temperatures depending on weather conditions. What Plants Can I Grow in Zone 12 and 13? Heat tolerance and maximum germination temperatures become an issue in Zones 12 and 13. Tropical plants are the key to gardening and landscaping in the extreme heat of both these zones. Growers germinate indoors, purchase plants from nurseries and grow many vegetables during the cooler winter months. No matter what zone you live in one thing is certain, you’ll need watering equipment. Gilmour offers the best quality in lawn and garden watering equipment you can find. Durable, Flexible Hoses The source of happiness, not hassles. 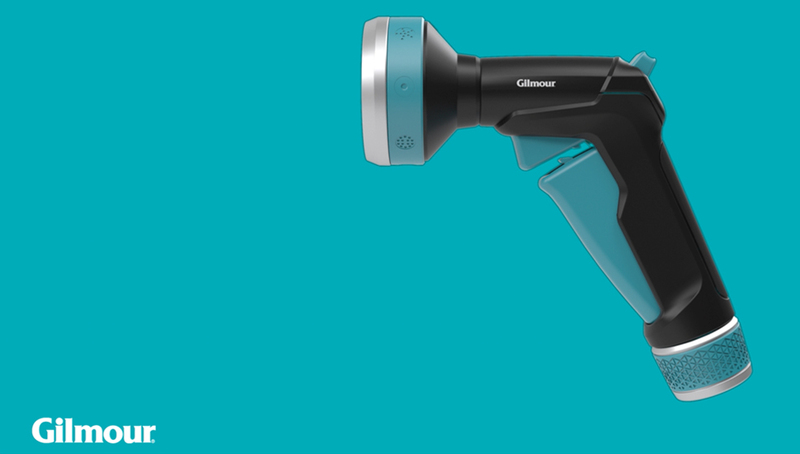 Spray Nozzles To fit the need, and your grip.